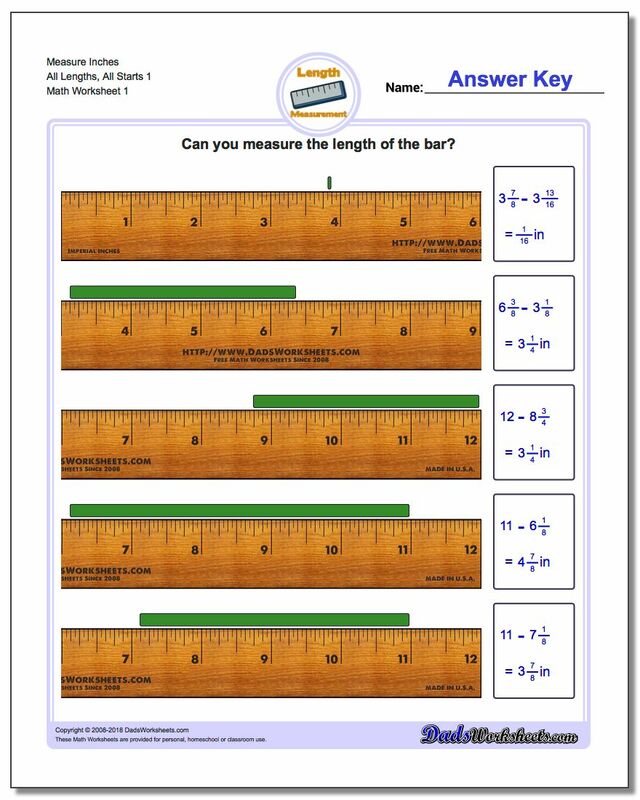 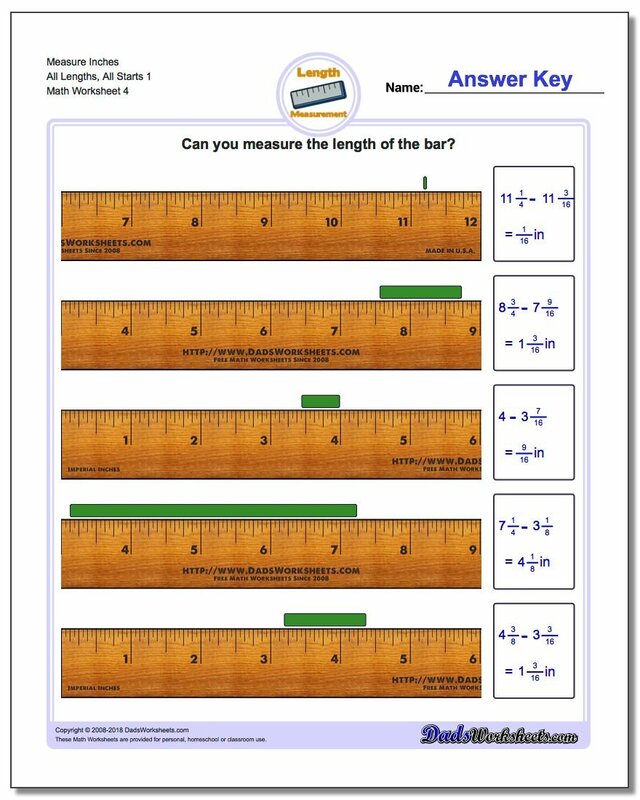 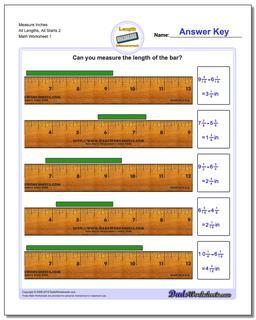 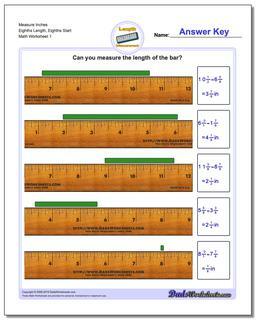 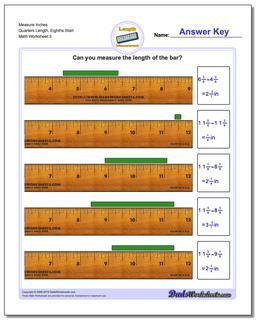 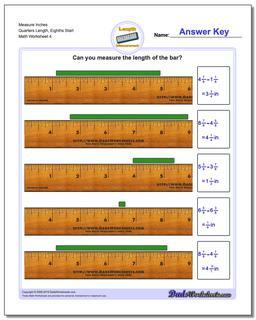 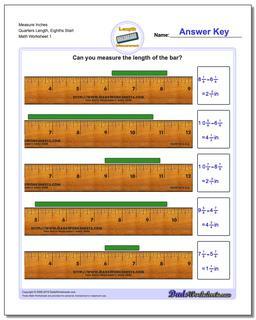 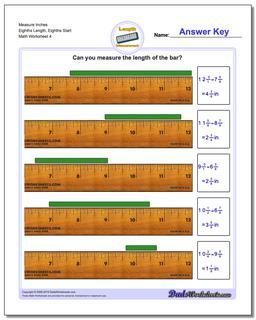 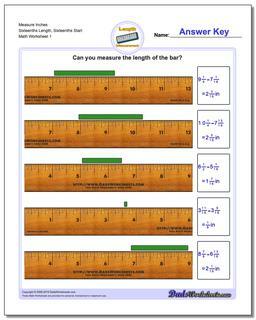 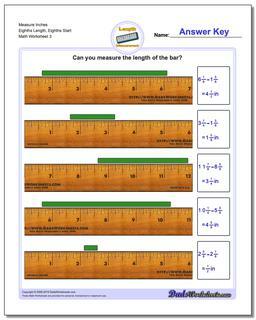 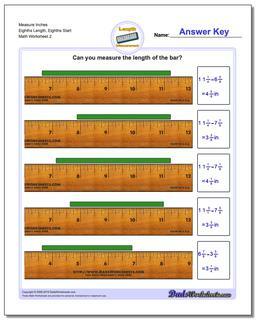 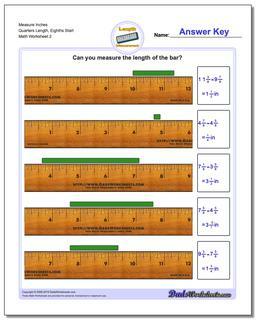 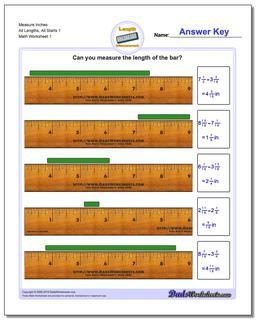 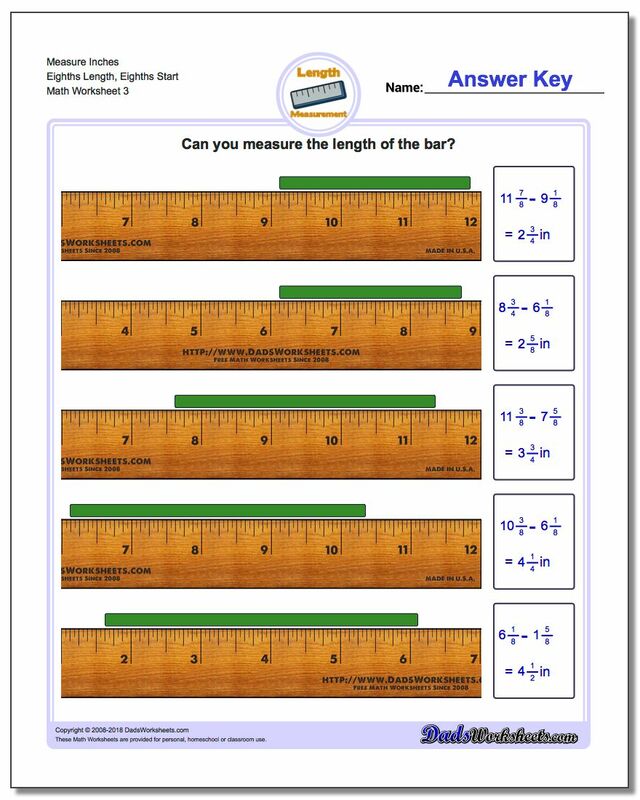 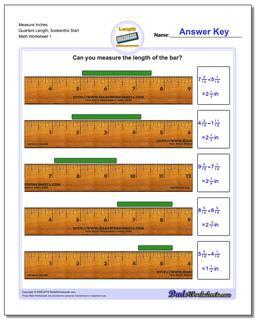 Worksheets for measuring length on an imperial inch ruler starting from all fraction positions of the ruler. 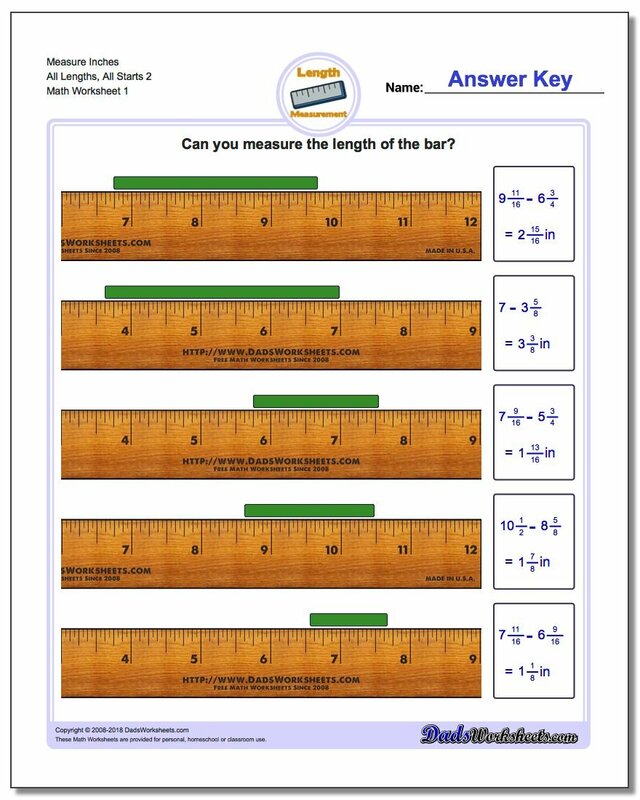 These are what you're working up to! 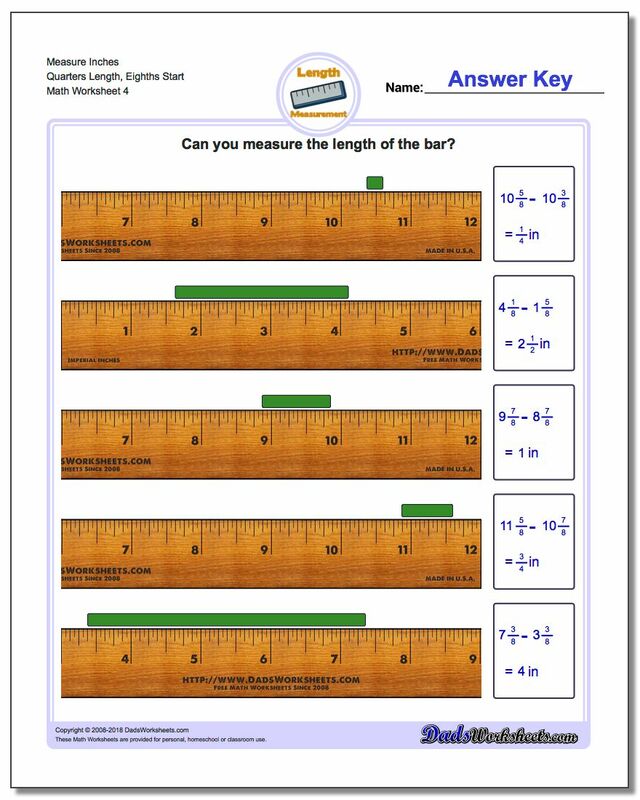 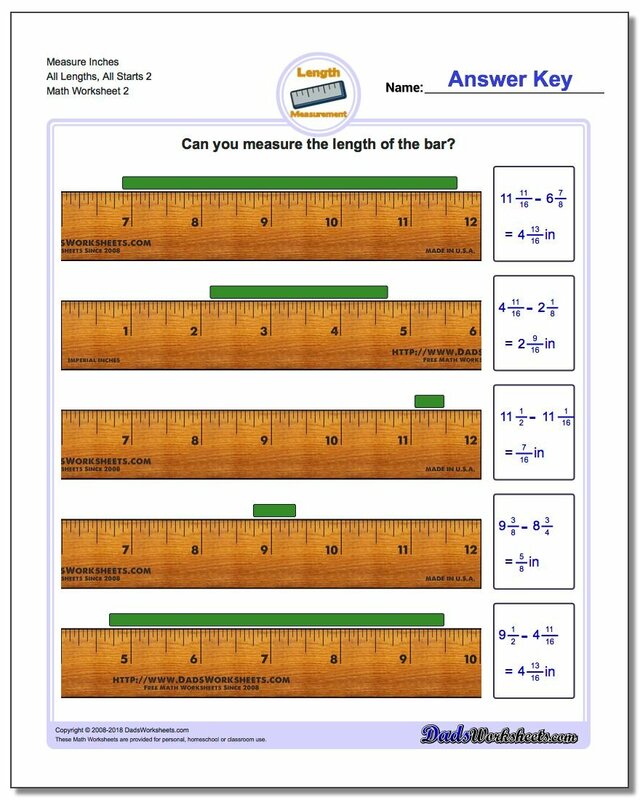 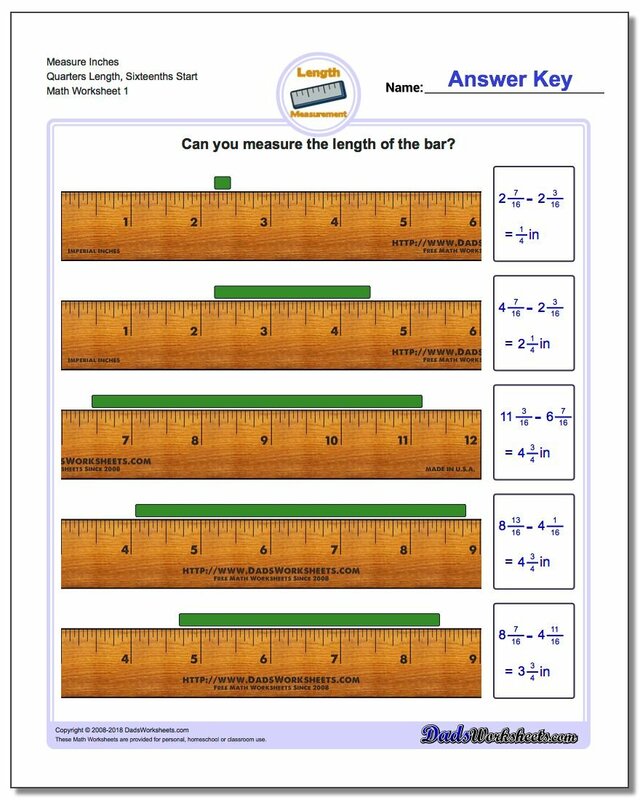 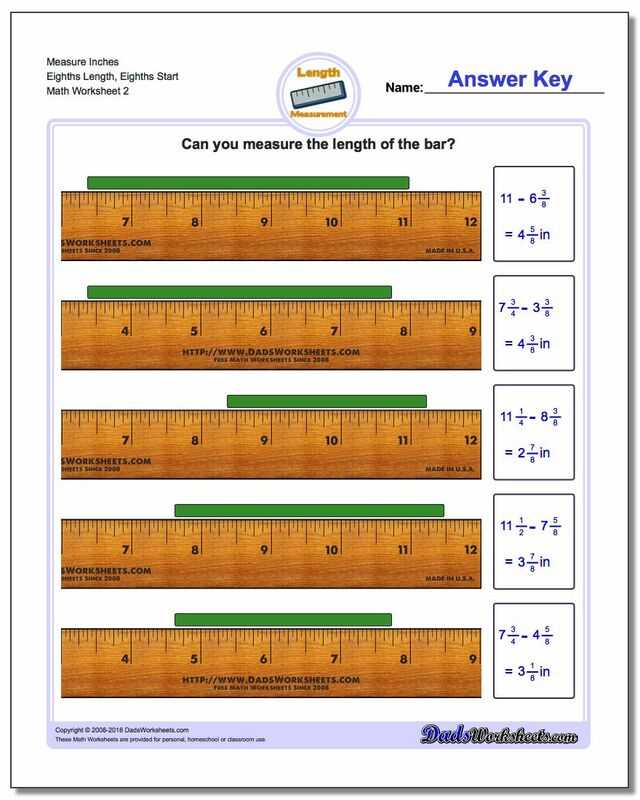 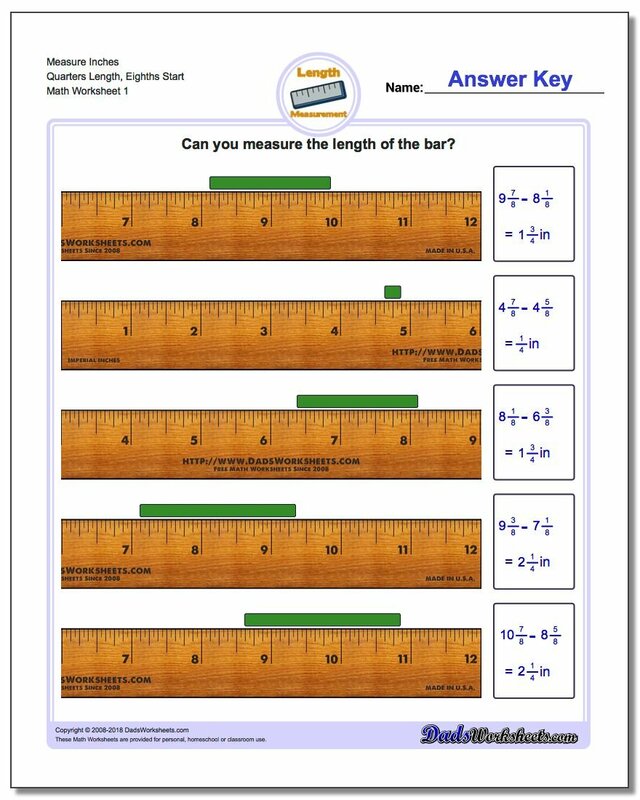 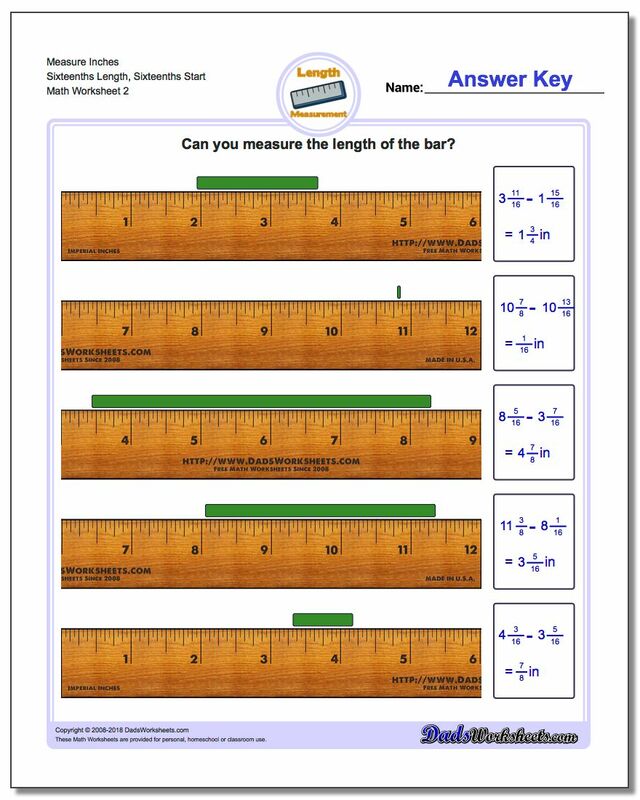 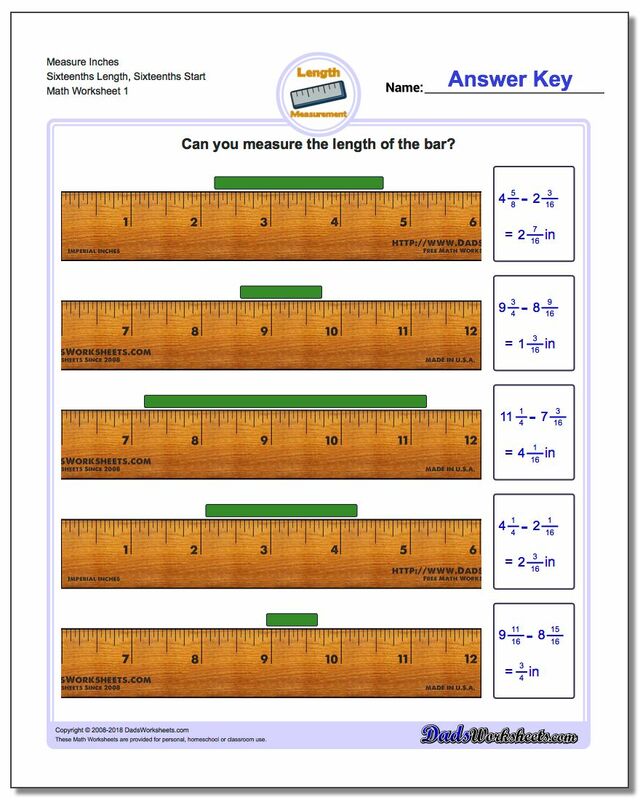 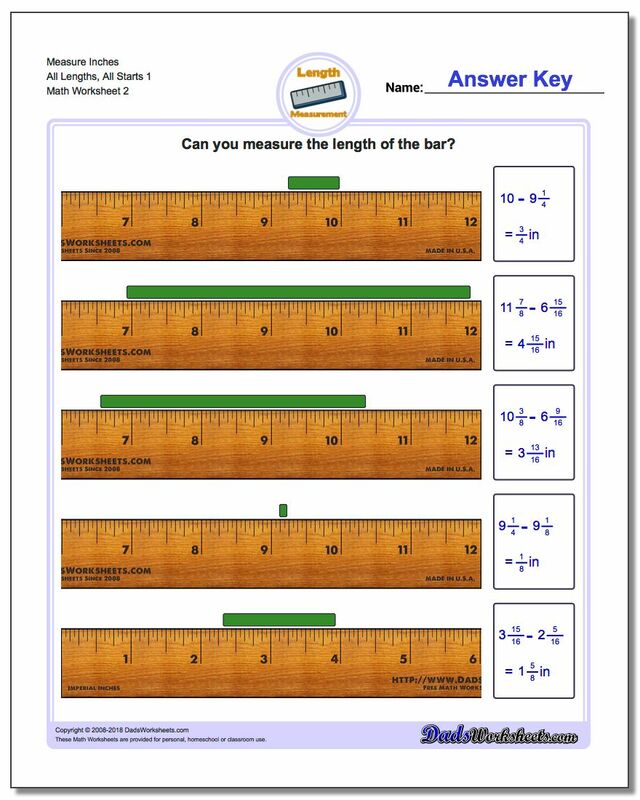 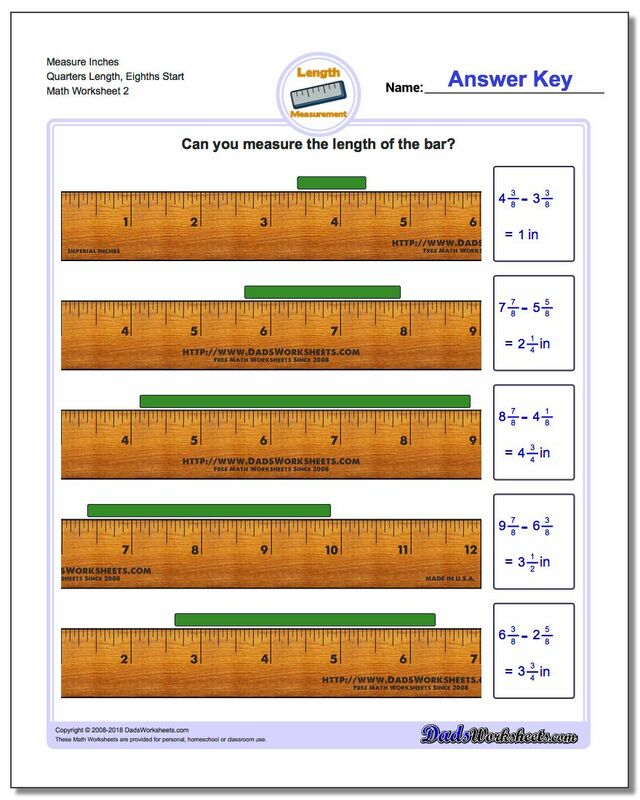 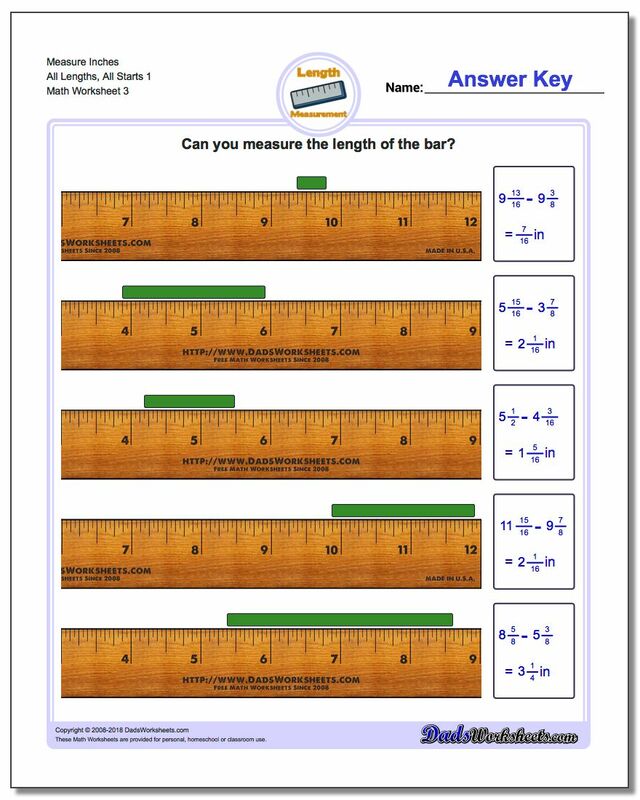 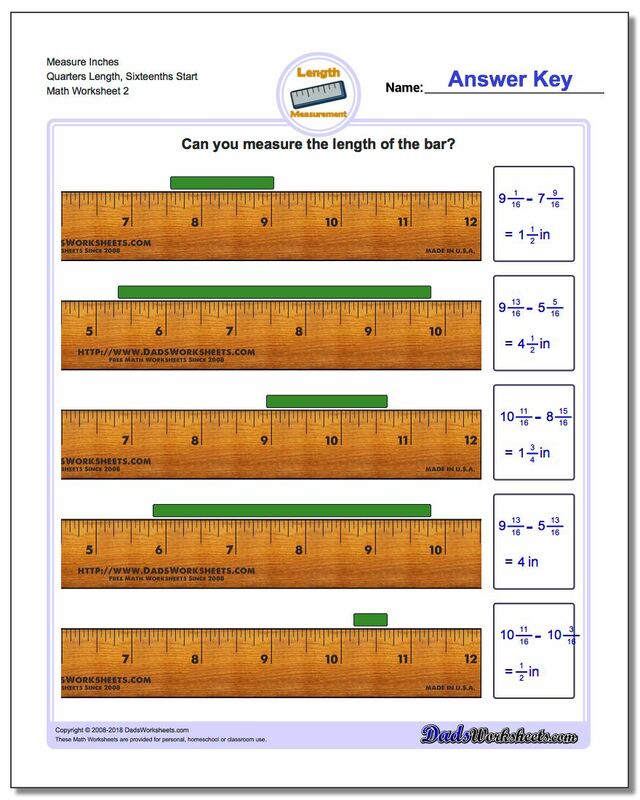 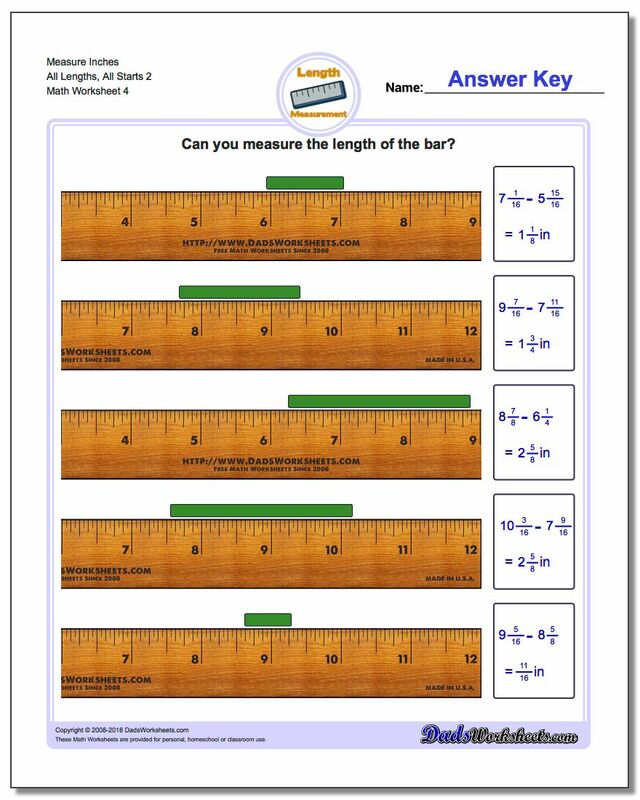 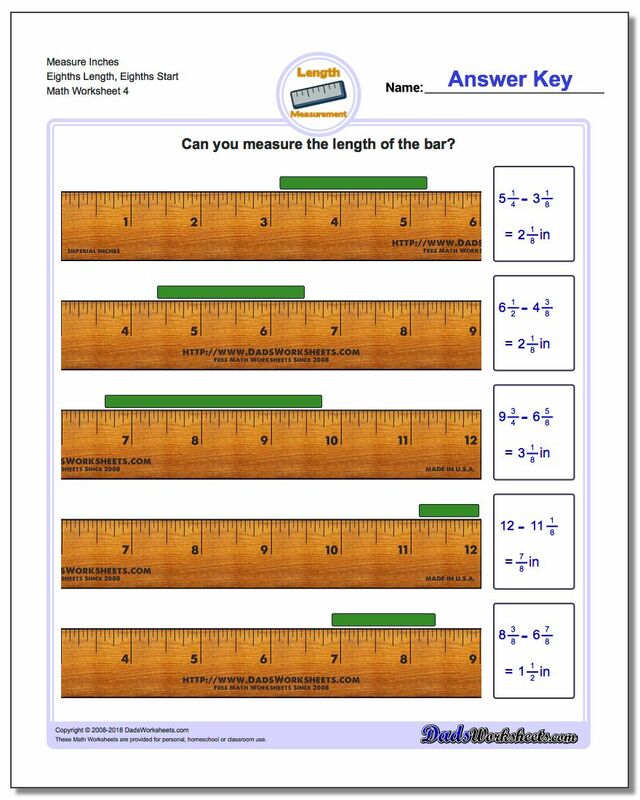 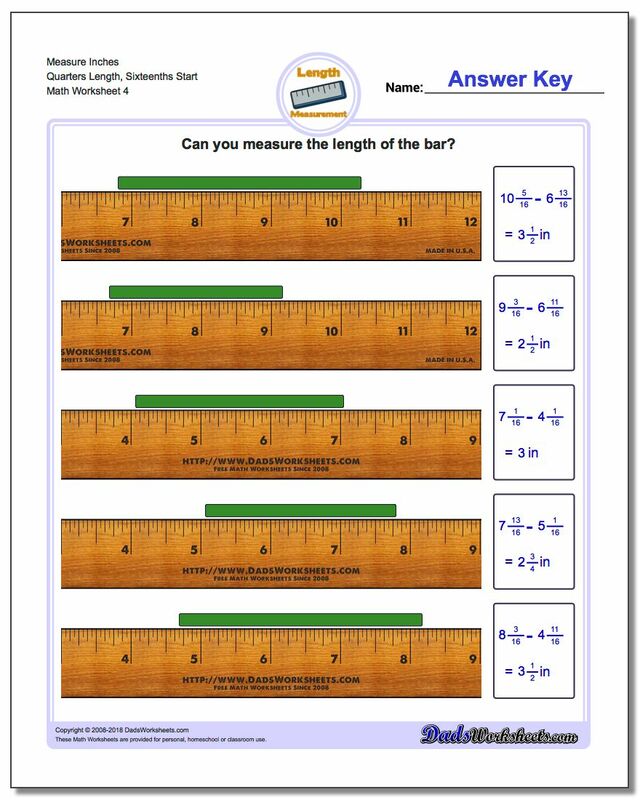 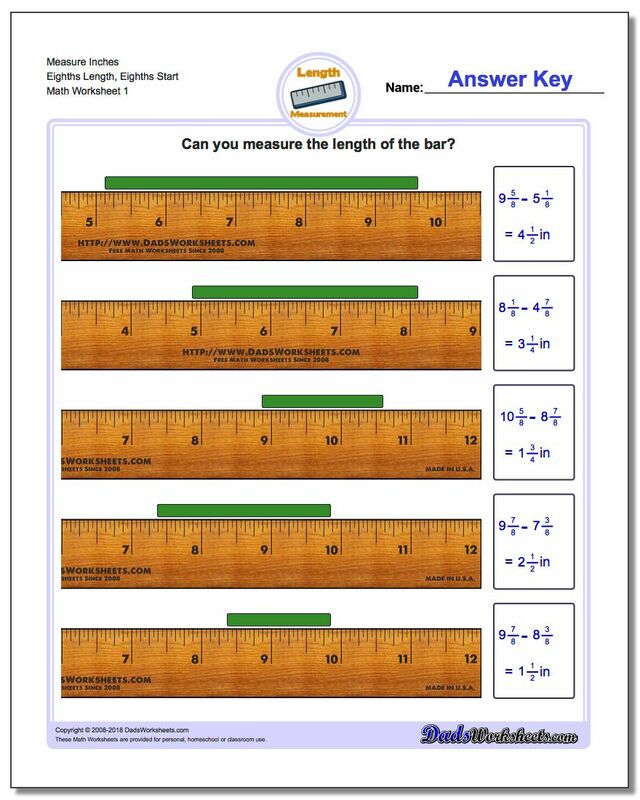 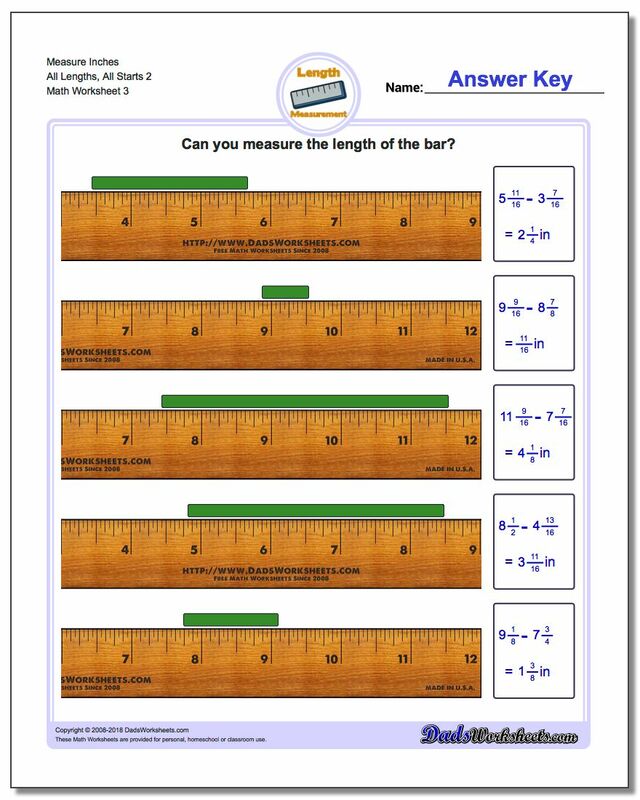 These worksheets all deal with measuring the relative length of an object in inches, and the offset is a starting fractional number of inches from the left edge of the ruler, including eighths and sixteens of an inch positions. 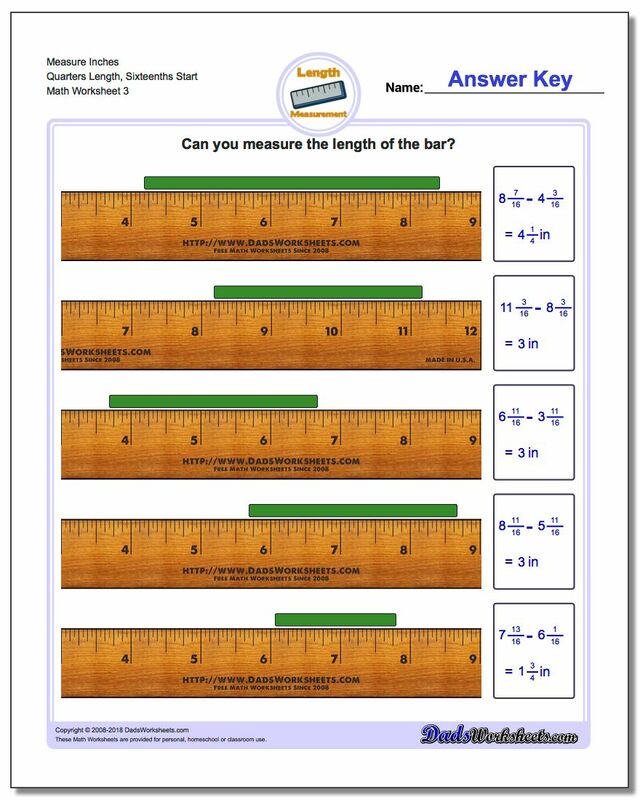 The total lengths start out as whole numbers of inches making the calculations easy, but later worksheets have fractional inch lengths as well. 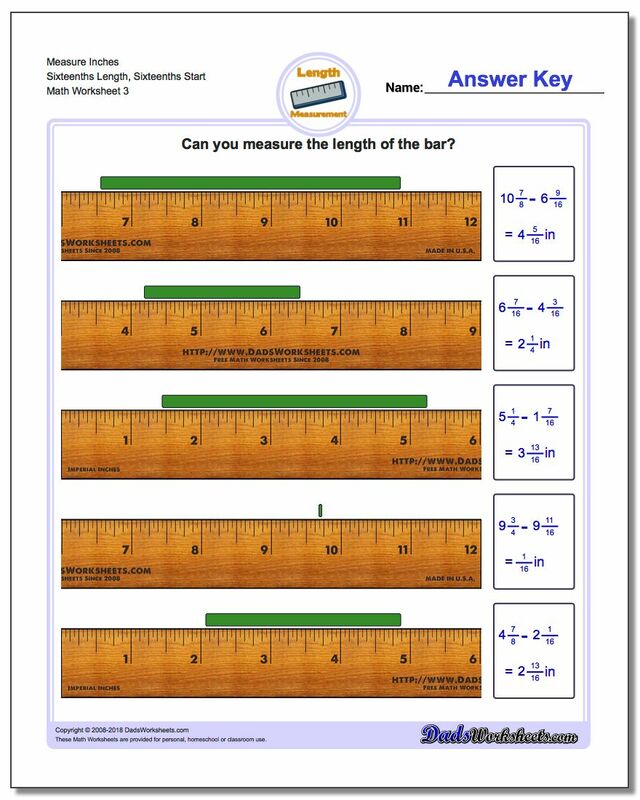 Students will find the total length of the object by looking at the ending measurement in inches and then subtracting the starting inch position from that value.